If weeds dominate an area, it’s likely that something is wrong with either the growing conditions or your lawn care practices. Shade, compaction, low pH, and cutting the grass too short will all allow weeds to thrive over turf. “Natural” herbicides have come onto the market recently. These share the same liability as broad spectrum pesticides. They will kill good plants as well as the weeds. “Natural’ herbicides such as acetic acid (NOT the vinegar from the grocery store), ethanoic acid, pelargonic acid, fatty acids, and clove oil work best on young annual weeds. Tough established perennial weeds may require several applications. Follow all label directions. Boiling water can be used on small weeds in the cracks in the walk way. Be aware that perennial weeds will grow back. Flame weeders powered by propane or a similar fuel can be an effective non-selective weed killer. Do take care not to scorch plants or set mulch or other combustibles on fire. The soil is the greatest source of weed seeds in new lawns. Planting at the proper season with the right grasses and adequate fertilization at seeding are the most important practices in minimizing weed problems. In Sullivan County, fall planting is almost the only means of preventing crabgrass from taking over the lawn. When planted in the fall, the grass plants will spread laterally and the turf will be dense and mature before most problem lawn weeds appear. Proper fertilization of the seedbed will help newly seeded areas quickly gain a competitive edge over weeds. Apply fertilizer according to soil test recommendations. In lieu of a soil test, use a high- phosphorous or “starter” fertilizer according to label directions. Mowing as soon as the grass is established and has grown to a 3-inch height will control many weeds and promote thickening of the lawn. Even with the best cultural program, weeds will encroach into a lawn. The only weed control alternative to herbicides is hand pulling. For small lawns or those that have only a few weeds, hand pulling as weeds appear can give good temporary results. 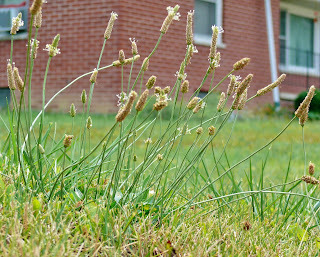 Weeds can be pulled more easily after a heavy rain or watering. Be sure to remove all of the root system; many perennial weeds will regenerate new growth from underground parts. The use of herbicides to control weeds is more practical for large areas, weeds that are difficult to pull and small patches of persistent weeds. Large areas can be treated with sprays or granules, which provide good weed control with minimal injury to turf grass. Single clumps of weeds can be spot treated. When weeds infest an area of any size and the populations are high enough throughout the area to be objectionable, an overall treatment with a selective chemical that will kill weeds and leave the grass unharmed may be warranted. Broadleaf weeds such as dandelion and plantain require different management practices than do annual grasses such as crabgrass or goose grass, or perennial grasses such as quack grass. 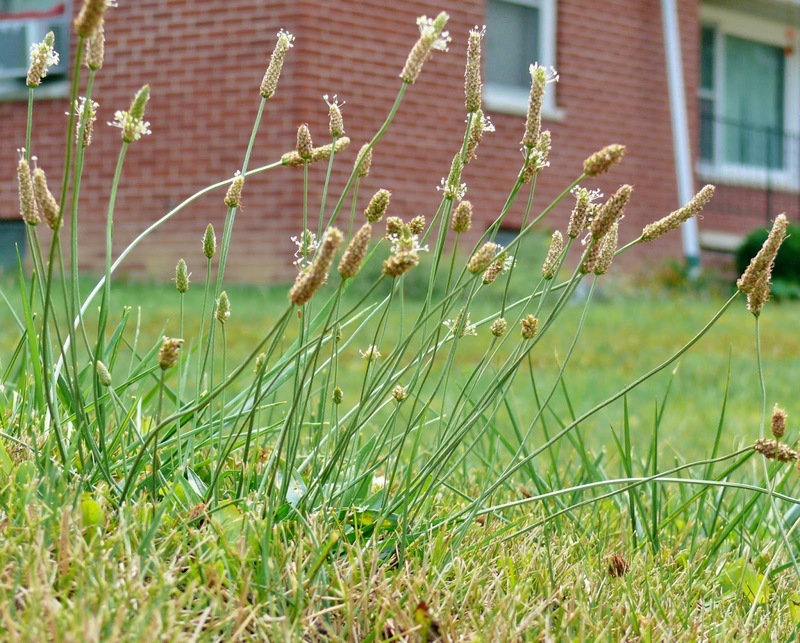 Where weed infestation is serious and the turf is poor, consider renovating the lawn. Check the herbicide label for the proper way and most effective time to apply herbicides. Chemical control of broadleaf weeds is best accomplished in the fall or spring. Using the information from above, choose the weed control option that best fits your conditions and lifestyle. Now, get that cool drink and relax in your green oasis.